In the middle of a summer heat wave, as Naples prepares for one of its most important holy days, a renowned surgeon falls to his death from the window of his office. For Commissario Ricciardi and Brigadier Maione, it is the beginning of an investigation that will bring them into contact with the most torrid, conflicting, and enduring of human passions. In the world Ricciardi and Maione are about to enter, infidelity appears inextricable from the most joyful expressions of love, and this interdependence sows doubt and uncertainty in both men, compromising their own attempts at love. Ricciardi is one of the most intriguing and unique figures to appear in crime fiction in recent years. He possesses the dubious gift of being able to see and hear the last seconds in the lives of those who have suffered a violent death. This ability makes him an unusually effective investigator but plagues him and renders human relationships almost impossible. He is a classic noir hero and the cursed son of a city that, for all its Mediterranean splendor, is a perfect noir city. 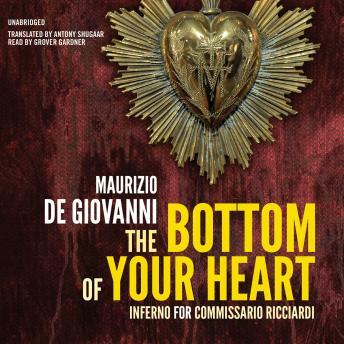 In this new installment in the Commissario Ricciardi series, Maurizio de Giovanni creates a large cast of unforgettable characters and a compelling, suspenseful plot that demonstrates once more why he is considered one of the best crime writers working today.